We do not know how the saliva used in the technique contributes to the healing effect, but it is interesting to note that qigong practitioners consider saliva (which they call ‘jade liquid’) to be full of life force energy or chi and actively incorporate swallowing saliva for instance in a qigong “walk” particularly geared to help heal a person of cancer (for details how to learn this specific qigong technique without charge, see Self-Applied Qigong for Cancer: Chinese Qi Energy [Wellbeing] Walk Demonstrated Online. When watching this free video, you may notice that the qigong grandmaster demonstrating the technique swallows his saliva repeatedly as if having a surplus of fluid in his mouth). The reader may also wish to combine this technique with the oil pulling method proposed for detoxification and healing purposes. Whether we like it or not, entities are everywhere in the 4th dimensional field around us. If you’ve been drawn to read this article then I imagine you have already experienced the challenges that having entities in your field might bring. It’s a bit of a taboo subject in western culture; one of those subjects where people are a bit concerned about being labelled as ‘crazy’ or ‘Xfiles-ish’, so I felt inclined to break the ice and bring a bit of light to the subject. I am not claiming to be the fountain of all knowledge on the subject, although I do have a lot of experience working with them directly as part of my role in the spiritual evolution arena. The term ‘entity’ can be a bit confusing, so I’ll draw a brief outline before focusing on the entities that people usually mean. There are three main types of entities; 1. The earth-bound spirit 2. Higher dimensional beings and 3. The non-human negative entity. We’ll be primarily dealing with the latter category, although it feels helpful to introduce them all. This generally refers to a human being who was incarnated, yet didn’t move on in spirit when their body passed away. They stay here in spirit form until they are ready to move on. They are usually attached to form by fear of loss. Often bound to a specific place, unable to exist beyond it, they can be friendly, mischievous or down right malevolent. Earth bound spirits can at times be bothersome, although they engage with incarnated human beings very little. We won’t be covering this type of entity in this article. I just felt inclined to mention it, to distinguish the difference. These are beings whose consciousness is centred in the 4th density and higher. They sometimes have an interest in engaging with 3rd density beings, such as humans. They tend to differ from non-human negative entities (below) in that they each have an individual soul. They come in all shapes and forms, through multiple dimensions. Some higher dimensional beings are benevolent (eg. angels), some are malevolent and others dance somewhere in between. If malevolent or manipulative in anyway, they can influence and over-power a person in a more sophisticated way than the non-human, negative entities. Higher dimensional beings are complex. Manipulative ones often prey on psychic people who can ‘see’ beyond the veil, at which point it is common for controlling higher-dimensional beings to present themselves as ‘benevolent’. They can be master tricksters. There is a huge ‘false-love-and-light’ movement in the spiritual world today, being totally manipulated and controlled by less than benevolent beings from this category. These are what people typically refer to when they say they have an entity in their field, and this is what we will be working with throughout the rest of this article. These are the entities that often possess people, by living within their host’s energy body. These entities act like parasites, often completely unbeknownst to their host. Some people have a visual psychic ability that permeates into the 4th density and are able to ‘see’ them, reporting all sorts of descriptions, shapes and sizes. People commonly mention tentacles or hooks that leech on to a persons energy field. Their most common food source is emotional energy. They do not have individual souls although they may act in individual ways. They have a collective group soul and consciousness and exist as part of a hive consciousness. Most of them aren’t actually malevolent, they are simply fulfilling a parasitical survival instinct; they are just hungry. They farm their food – emotions – in the same way that human beings farm cattle. They have learned to become very skillful at turning on the emotional tap of their human host, so that whenever they get hungry they can drink in emotional energy on demand. They home in on any emotional vulnerabilities and imbalances that a person has and tend to hook in a tentacle right on that touch point. As soon as they are hungry, they push the button and slurp up the emotional nectar that begins to flow. Why Do I Have an Entity in My Field? So you have a parasitic entity in your field? You know something isn’t right? It’s draining your energy? Activating your emotions? Feeding off you? Making you ill? In essence, it’s only there because you allow it to be there. Gulp! OK, so it may be a subconscious allowing, yet the power is within you. The entity doesn’t want to be seen. It has a vested interest in being invisible. It wants to co-exist without its host ever knowing it is there. It doesn’t want to starve. Who is Particularly Vulnerable to Entity Attack? As long as you are a human being (Homo Sapiens) you are vulnerable to attack, because Homo Sapiens has been hybridised for that purpose. It doesn’t escape any of us. Although as we evolve and become more and more present, as we become fully enlightened, then it becomes much more difficult for them to deceive. I’ve particularly noticed that those who have taken drugs or medication or do things that anaesthetise themselves (TV, alcohol, excessive video gaming) tend to have the biggest entity issues. With consciousness blasting drugs (psychedlics etc), it seems to be that a person goes from a normal state to having their awareness blasted open, missing several important and necessary evolutionary steps in between. A blind spot is created where the missing steps are. This is the place that entities slip through the door. It’s a blind spot, so usually unnoticed by the person who’s taken the drug. This can last a long time completely unnoticed (years/lifetimes). Medication that dampens and suppresses gives an entity the perfect opportunity to feed off the emotion that is being repressed by the drugs. So, here’s the key that unlocks the door. There is something within you that it is latching on to. It will be a blockage, a distortion or a button. The entity can only exist in your field if there is something for it to hook onto. One of the most powerful things you can do is to take full responsibility for the fact that it is there because you have given it permission to be there. Entities feed off emotions of all sorts. What are your emotional triggers? Do you experience any of the emotions in the list below? If you recognise any of these emotions as an issue for you (ie. a recurring theme in your life) and are reading this article, it is likely that you have an entity feeding into them and milking your emotions for food. Acknowledgement and acceptance is the first step to self-empowerment. The next step is to know that entities are normal; most people have them in their field without realising it. The world, in fact, is a large cauldron of emotion, the perfect feeding ground for these pesky pests! The most important thing that you can do is work on your stuff. It really is that simple. Once you remove the food source – charged emotional distortions – then they have nothing to grasp onto and fall away. It’s also vitally important that we don’t deny the emotion. Because denial and suppression of self also creates the ‘grey’ areas where they hide. What we’re looking for is the authentic – non-loaded – emotional expression of self, that which is aligned with the source. It is the distortions of these that the entities feed off. People can and do remove entities, which sounds like an ideal solution. It can work temporarily. 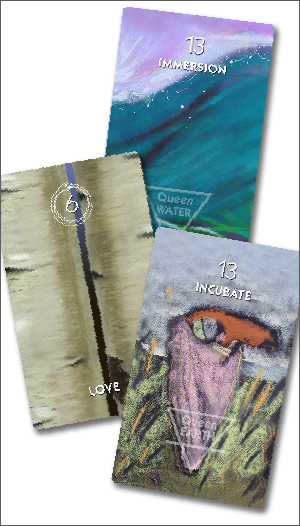 HOWEVER – unless you deal with the energy that invited it in the first place, you will simply draw another entity to you again and again and again UNTIL you release the attachment to that emotion from within yourself that draws it in. No one else can do this for you. It is part of the spiritual journey of self realisation, back to who you truly are. Be inspired and supported by others (catalysts and empaths can highlight them in your field), yet know that you have to walk the path with your own two feet. Release the trapped emotion; let go of the attachment to the emotion and there will be no place for an entity to attach to you. Most people have to do this multiple times for different issues, over a period of time and through various levels of vibrational consciousness. There isn’t a quick fix solution. It’s a powerful way to catalyse the spiritual journey though, as you create the space for higher consciousness to flood in where you were once blocked. Indeed using this “Opposing Consciousness” as a mirror to your own limitation, is a powerful path to mastery. 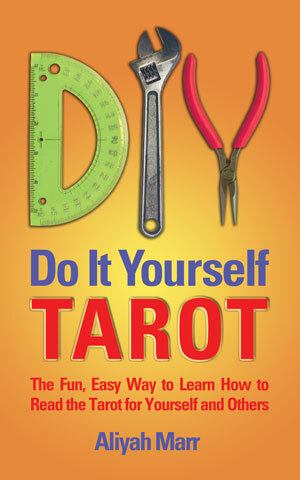 Look at specific spiritual work that helps you to honour and release distortions, inner tension or emotional blockages. Whatever work you do, the key is to consciously bring your attention to your blockages. Sound work, movement and any work that releases thwarted energy can all help if you are conscious whilst working with it. Some might find guided meditation helpful. We have a collection of different meditations for catalysing the spiritual journey on Openhand’s audio page, all of which help to let go of attachments. I thought it might be helpful to record a meditation that specifically deals with the release of inner blockages in order to cleanse your field of entities. So, especially for this article here is my latest guided meditation, as a gift from my heart to yours. 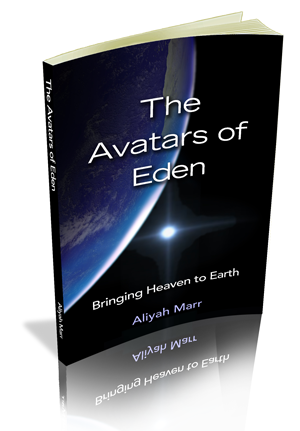 Press the [>] Play button on screen to hear the meditation, or press the download link to purchase your own copy. Remember that the key to releasing entities from your field is to release your own blockages, so that they don’t have anything to hook on to – anything else is just temporary. This is Kairos, Thank you Trinity. I agree that remedies in the now may be temporary, and releasing your own stuff is preferable and recommended, of course; but back to the now… when I find a lower astral entity in my field, the first thing I do is acknowledge the presence of the entity! It helps to voice my awareness of the occurrence out loud so the entity can hear me and know that I am noticing it. This establishes a line of communication directly and asserts that I am now in command of the situation. I have learned that fear is antithetical to dealing with negative entities. The more we learn to trust that, as spirits incarnate, we are senior in our bodies! The more we realize that nothing can harm us without our consent; the more fear is unnecessary and counter-productive. Over time you will gain confidence in this process and fear will be less of an issue. So, begin the “conversation” by speaking to this being. “Hello!” “I see you!” “I feel your energy!” Rather than trying to escape it, focus your attention on the energy you feel attaching to you or invading you. Do not ask the entity to leave. Demand it to leave! “You must leave now!” or whatever comes to mind for you that gets the point across that the entity does not have your permission to be in your space. You might even suggest to the being to look for the light and go there. This might work for beings lost in the astral after death and they just need some assistance to move on to the afterlife! Assume Control. Your body is your private domain in the third and fourth dimensions. Own it! Your aura and your personal space are your sacred space. Let go of fear and victimhood. You are the senior entity in your universe and in the room or immediate surroundings in 3D – 4D. Part of the problem with entity intrusion is that almost everyone on the planet does not recognize nor honor their own right to have sovereignty as a human being. This is our right, this is where we came from and where we are returning to. So, after the initial contact, I immediately start to clear my field: I take physical steps to energetically cleanse my aura and chakras: I might sage myself if I have any handy. Normally I start brushing myself off with my hands, over and over, like one would do if suddenly dowsed from head to toe with dirt or ashes or spiderwebs or whatever. I make dramatic gestures to fling off and flick off the energy. I might take a quick cold shower. All the while making my demands to leave, not with anger but with certainty, the certainty of a master or high level shaman. Then I might sage or spray myself with flower or herbal essences, Rescue Remedy works well for me in many cases if the need presents. Own it. Own your sacred space and your inherent sovereignty dear ones and not only will you be less open to invasion, but your life will become more empowered as you open to your divinity and your magnificence. For those of you who don\’t remember, before the digital/computerized-everything age we used to have dials on machines that controlled and/or measured the flow of something. If they were on a radio they showed which frequency a radio was attuned to, on other machines they show the level of something. The higher the number the higher the level of whatever you were controlling or measuring. via Eileen Silon – The Down To Earth Spirit – Your Self-Love Dial. Wanted to share something interesting with you. Today in a healing session I discovered an implant/energy block on the right side of a clavicle in a person I was working on. Many of you know that everything that we are experiencing in the physical begins with our emotions and thoughts. For those of you who are experiencing issues with your clavicle you might want to look at the emotions behind this to help you deal with the emotions instead of running to the doctor to get it physically fixed. And according to Luis Martin – Clavicle comes from the words clave, which means key, and the suffix icle, which means small. This, in turn, means that clavicle is the small key. The clavicle is part of the shoulder, the core joint of the upper limbs, thus forming part of the scapular waist, which is the masculine waist in each of us, the yang axis, the masculine axis, the axis of willpower, symbolised by the Father. Collar bone fractures represent a shock at the level of deep beliefs when it comes to taking action, and, at the same time, an enormous relief of the tension the person was experiencing. They normally occur at a dynamic moment. It is the result of the major undervaluing the person experienced in his ability to deal with a professional issue, or with a money related issue, with a very well defined objective, in other words, with a typically yang, masculine issue. 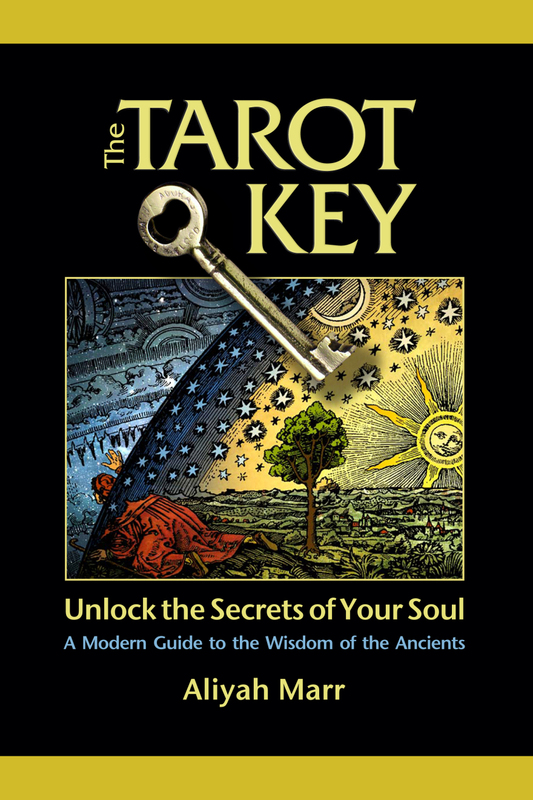 via Emotional Component of Clavicle Issues « Sacred Ascension – Key of Life – Secrets of the Universe. Eating charcoal sounds about as appetizing as scarfing down some black, charred remains of a Saturday BBQ, but activated charcoal is a whole other animal. Activated Charcoalis used as a detox agent to absorb a host of heavy metals, chemicals, and pharmaceutical drug remains that flow through your blood stream and cause a hindrance to your best health. Activated charcoal absorbs the toxins from your body and then, since it is not absorbed by the body, the toxins along with the charcoal are expelled, leaving you cleaner and more toxin-free. Charcoal is “activated” because it is made to have a very small particle size. This increases its overall surface area and absorptive capacity. Activated charcoal is produced by adding acid and steam to carbonaceous materials such as wood, coal, rye starch, or coconut shells. To understand just how effective this substance is at absorbing toxins, one standard 50-gram dose of activated charcoal has the surface area of 10 football fields. It also encourages bowel movements, so it can help to rid the body of toxins rather quickly. Has a negative ionic charge that attracts the positive ionic charges of toxins and poisons causing them to bind to the charcoal. They are then surreptitiously escorted out of the body via the eliminative channel of the intestines. * Removes heavy metals like lead and aluminum. * Removes symptoms of traveler’s diarrhea. * Reduces ulcers in the stomach. * Can be used as a toothpaste to whiten teeth and eliminate foul breath since it kills bacteria. * Reduces gas from eating beans and other gaseous foods. * Eliminate many micro-organisms and chlorine from drinking or bath water. * Removes pharmaceutical toxins from the body. This includes aspirin overdose, accidental household toxin ingestion, and heavy metals. It has been used for hundreds of years in cases of food poisoning. Ancient Egyptians used activated carbon as did the Native Americans. * Removes parasites and bacteria from the body. This includes bugs that cause everything from a stuffy nose to more invasive parasites. Those with Crohn’s disease or irritable bowel syndrome need to prepare their activated charcoal a little differently, or use it externally, as a poultice, instead of mixing it with water and drinking it or taking it in pill form. via Benefits of Activated Charcoal: Medicine of the Egyptians, Greeks, and Native Americans | In5D.com. Remove Fluoride From Your Body «. via (43) 5D Leadership Group. Cancer is one of the scariest health concerns of our times, with numbers climbing over the years and once rare or new aggressive forms of cancer appearing every day.Over the past century, many people have discovered and attempted alternative natural ways to manage, treat and even cure cancer. Some of these treatments do not fall under conventional medical treatments and have no scientific or medical evidence to support their claims. However, new evidence shows that holistic lifestyle changes are successful in the prevention and, at times, treatment of many cancers. Alternative treatments are not widely publicized and in some cases, those who have claimed single products as cures have ended up in jail, or in the case of some physicians for example Dr. Tullio Simoncini – who claims a link between Candida and cancer and cured his patients with Sodium Bicarbonate, threatened and stripped of their medical licenses. However, more and more people are considering other options. When Rick attributed that the oil with its high concentration of THC cured cancers and other illnesses, he tried to share it with as many people as he could free of charge – curing and controlling literally hundreds of people’s illnesses.When the story went public, the long arm of the law snatched the medicine – leaving potentially thousands of people without their cancer treatments – and leaving Rick with unconstitutional charges of possessing and trafficking marijuana. For more information about Rick Simpson or hemp oil and what it can do, watch Run From The Cure – The Rick Simpson Story or visit his website. Very few natural cancer cure success stories are mentioned in mainstream media, however, last year 2012, a 78 year old man’s remarkable story appeared in the British newspaper The Daily Mail: Allan Taylor, beat cancer by changing his diet and taking herbal remedies, he replaced red meat and dairy products with 10 portions of raw fruit and veg each day. Doctors told Allan Taylor in April that his cancer couldn’t be treated and had spread from his colon to his small intestine. He subsequently set out to find alternative therapies and cures on the internet. In August the retired oil rig engineer from Middlesbrough received another letter – stating he was cancer-free. A young Australian woman was told five years ago that she had a rare, aggressive form of cancer and would need to amputate her arm to survive. Jessica Ainscough, was in her early twenties when she received this dismal diagnosis. Jessica, decided not take the advice of her well-meaning physicians, and chose to trust her intuition and instinct. She dramatically changed her lifestyle and diet and vanquished her cancer naturally. Today, Jessica is known as The Wellness Warrior and author of the book Make Peace with Your Plate HAY HOUSE “I’m living proof that doctors aren’t always right, that wellness starts in your mind, and that YOU are the most important authority on your own health & body” for more about Jessica, check out her inspirational blog. The Gerson Therapy one of the many therapies mentioned in the documentary “ Cancer – the forbidden Cures” by Massimo_Mazzucco, is a non-specific treatment that effectively treats many different conditions by healing the body as a whole, rather than selectively targeting a specific condition or symptom. Over the past 60 years, thousands of people have used the Gerson Therapy to recover from so-called “incurable” diseases, including Cancer melanoma, breast cancer, prostate cancer, colon cancer, lymphoma, pancreatic cancer and many others. These are just a handful of examples of alternative therapies and treatments that have successfully saved many people from cancer and undergoing gruelling conventional treatment.While these methods may not be equally successful for everyone, neither are conventional methods. These natural remedies and many others not mentioned here are certainly worth investigating. For more information on alternative cancer treatments and research, visit Gregg Prescott’s website: Holistic Cancer Research. via Curing And Controlling Cancer | in5d.com. As some of you mentioned an increase of physical symptoms, Space weather reported 3 x-class Solar flares that happened on May 13th & 14th, the one from today being X3.2-class flare, the most powerful of the 3. Apparently, these x-class flares are the first to happen in 2013. The Most Important Healing Modality in the World – with Dr. Stephen Sinatra, M.D. – YouTube. by Gregg Prescott, M.S. .
via 528Hz DNA Frequency – UNLOCK Your Codons!!! | in5d.com | Esoteric, Spiritual and Metaphysical Database. According to Dr Len Horowitz some leading genetic bio chemist suggest frequency 528 is the miraculous repair frequency for damaged DNA. A regular “C” vibrates at a frequency of 512 Hz. The “C” of 528 Hz used for DNA repair is part of an ancient scale called the Solfeggio Scale. Dr Rife was another among the first to discover, how the frequency 528 strengthens the cell wall. via SECRET TEACHINGS: Frequency 528. The Solfeggio frequencies include:01 = 174 Hz02 = 285 HzUt = 396 HzRe = 417 HzMi = 528 HzFa = 639 HzSol = 741 HzLa = 852 Hz09 = 963 HzThe numerical values of the Solfeggio Frequences are generated by starting with the vector 1, 7, 4 and adding the vector 1, 1, 1 MOD 9. Each higher frequency is found by adding 1, 1, 1 MOD 9 to the previous lower frequency. The final frequency, when 1, 1, 1 is added to is, returns the frequency to the lowest tone 1, 7, 4.Ut = 396 Hz which reduces to 9 [reducing numbers: 3+9 = 12 = 1 + 2 = 3 ; 3+ 6 = 9]Re = 417 Hz which reduces to 3Mi = 528 Hz which reduces to 6Fa = 639 Hz which reduces to 9Sol = 741 Hz which reduces to 3La = 852 Hz which reduces to 6The BeliefThe frequency assigned to Mi for “Miracles”, 528 Hz, is said by proponents of the idea to be the exact frequency used by genetic engineers throughout the world to repair DNA. The “Solfeggio frequencies” are cyclic variation of the numbers 369, 147 and 258.It is claimed that each frequency has specific spiritual and physical healing properties. It is also claimed that they are part of a process that can assist you in creating the possibility of life without stress, illness, and sickness. via Solfeggio frequencies – Wikipedia, the free encyclopedia. a toolkit for communicating with your higher self. Morpheus: “You’re here because you know something. What you know you can’t explain, but you feel it. You’ve felt it your entire life, that there’s something wrong with the world. You don’t know what it is, but it’s there, like a splinter in your mind, driving you mad. 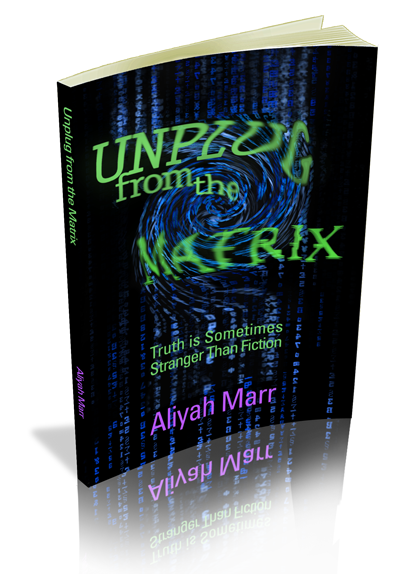 Unplug From the Matrix reads like the script for a science fiction movie, with a cast of malevolent and benign aliens, a league of human minions, a battle for the Earth, and an enslaved human populace. But sometimes truth is stranger than fiction—the Matrix is real—we are living in the Matrix. Once you know the truth, you can never go back. …Each of us has a Luminous Energy Field, which can become toxic as a result of environmental or emotional pollutants. 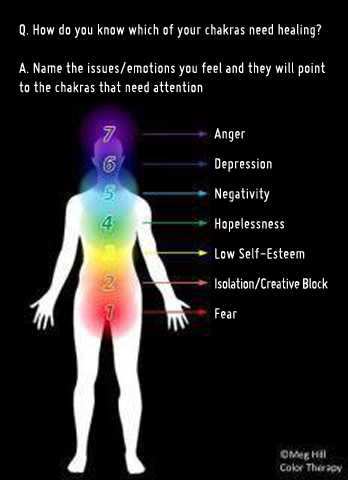 The chakras become clogged, building up residue and spinning more and more sluggishly so that we have less energy and become easily irritated or depressed. Eventually, they seize up and our immune system breaks down. How effectively we renew our energy stores can determine how healthy and active we remain. One way to upgrade our Luminous Energy Field is to make a practice of cleansing the seven chakras. It is practiced in the morning while in the shower. Hold your left hand at the base of your spine, and with your right hand three to four inches above the skin, feel for your first chakra. Spin the chakra counterclockwise (imagine that your body is the face of a clock) three or four times, rotating your fingertips in a circle. Rinse your fingers in the water and repeat this process for all seven chakras, making sure to rinse your fingers thoroughly in between. Now, go back to your first chakra, spinning it clockwise three or four times. Repeat for all seven chakras. This exercise increases the speed of the chakras, allowing each energy vortex to spin at its optimal frequency. A clean chakra is able to draw in natural energy to replenish the reserves in the Luminous Energy Field and keep us in exceptional health. Feel free to send me your comments after this exercise or ask any clarifying questions to help you better understand this important practice. Enjoy your healthier New Year. via The Best New Year “Cleanse” – Chakra Cleansing – The Four Winds Society. The following testimonial has not been solicited nor paid for by American Biodental. I don’t make money from this blog either; I simply believe in recommending people that do good work. It is my pleasure to recommend American Biodental for dental work. They are clean, honest professionals; they take the time to do the work well, and never recommend treatment that you don’t need. I lost an onlay cap (a partial crown) off my tooth over the holidays and was concerned that bacteria would destroy the tooth before I could get to the dentist. They made time for me, even though I called at the last minute. The attending dentist, Dr. Ismail was very caring, attentive and gentle. With my long history of painful dental work, I realized that I was very tense in the chair, but I shouldn’t have been nervous. I felt so little, I could have taken a nap! Read the rest of this testimony here: Excellent Dental Work in Mexico for One-Third the Cost at American Biodental | Alternative Everything. How to Detox Fluorides from Your Body | in5d.com. The Causes of Illness According to Edgar Cayce | in5d.com | Esoteric, Spiritual and Metaphysical Database. A Time to Receive – A Time to Forgive – A Time to Heal Separation. I want to thank everyone for their patience. As you know . . . I receive my messages in present time, so we had to wait until the last moment to download the updated current love bomb message. Thank you so much for taking time out of your day to join together to spread love. I know that as I write this that 99% of the people working with us today will be gatherers, and that most storers will not be a part of this love bomb. But the Masters were very clear that we needed to create this activity and this message in honor of both sides, even though this is still difficult for us to image that we might consider “the power abusers” are also our family, brothers and sisters. The Masters said that if we want unity, then we must end the “Us and Them” mentality. This mind set of opposites may not change right after the eclipse, but we feel that it will change it at its core, and then reverberate up and out . . . thus healing everyone and everything in time. This is another lesson for our awakening and ascension . . . to not give up and be patient. The greatest portion of the eclipse occurs at 14:33 UT time (http://www.timeanddate.com/eclipse/lunar-eclipse-november-2012.html). UT time is the same as London. Sample Dates and Times Based on Where You might live . . .
Read aloud, or read within, the following message during the 30 minute time window set for the LOVE BOMB. Do this in a sacred place of your choosing, by yourself or in groups, as ONE, in UNITY for the re-balancing and healing of all human kind on Earth. As always, add your own creative heart energy to this global effort as we are all perfect and unique expressions of GOD, the I AM that I AM. These are only suggestions. If you feel called to add or change this altogether, you are most welcome. As long as Love is at the core of what we are doing together, it is the right thing. Always trust your heart. In honor of all GATHERERS and STORERS, we begin . . .
we know as the LOVE BOMB which will focus upon the following . . .
** Restoring rightful ownership (divine receiving) to all energy gathered, given, received and stored . . .
** To forgive all those in the past, present and future that have trespassed upon us, betrayed us, or stole from us . . .
** To restoring Unity among ALL human beings of Earth. We are now . . . one mind, one heart, one intent. We are unified together now with humble, grateful, peaceful hearts. We stand here together all over the world filled with overwhelming love and respect for the Earth, for every single living human being, and all living creation. Within this unified field of unconditional loving consciousness, we invite all our personal Guides, Guardians, Angels and Archangels, and Masters of the Light, to assist us in this activation of exploding divine love cross the Earth to being a finale to a divine plan we began so long ago. We are all on board for this activity of the divine plan and resulting shift. It is the way we came here. We are ready. Here and now we make an official declaration for the fulfillment of a divine plan. This plan is in regards to the GATHERERS (servants of the heart) and STORERS (servants of the ego). The Gatherers are the ones we might perceive as light workers, healers, servers, etc…. These ones tended, amplified and harvested energy from sacred places, grid lines and the Earth’s acupuncture points, ancient temples and pyramids around the world. The Storers are the ones that we might perceive as the Illuminati, secret societies, world governments, and organized religions, pharaohs and dark wizards, etc…. The Storers collected this energy from the Gathers over and over again throughout time, then hid this energy in secret multi-dimensional vaults in very well protected places under cathedrals, government buildings, the Vatican, etc…. Now that we are remembering this plan, and knowing the appropriate time on Earth as arrived, we call upon Archangel Michael, Jeshua, Mother Mary and Mary Magdalene for assistance, as they were the originators of the message we received regarding this divine plan. We are asking the Great Creator of All That Is, and within the full authority of our I AM Presence and GOD Self within each of us, that all energy stored and hidden away on our beloved Mother Earth, on our behalf because of the divine plan we created together, be released NOW and returned in its pure, untainted and original form to the rightful owners . . . the Gatherers. These storage areas have no defense against our collective LOVE and the love bomb we are exploding today. All energy must be completely released from all secret energy banks and undisclosed locations areas across the Earth, and returned to its rightful owners and all their descendants. We ask that every sacred place on Earth, where gatherers gave their power away for a divine purpose for a future time (most of whom never saw the fruition of their giving and all of whom we appreciate unendingly), will open the floodgates to reverse the flow so these sacred places aren’t gathering energy anymore; but instead are releasing energy. We are asking that this wave of love, that we are creating now, will continue until every heart light has been restored and every descendent of these ancient ones have received back the heritage that their family, grandparents, great-grandparents, and great-great-grandparents have left in these places. These sacred places will become places of healing and fountains of regeneration. We thank the Storers for fervently protecting and storing this light and energy for us. This energy explosion, that is nothing short of pure love and light . . . a light eruption, is now washing across the Earth. It is becoming a powerful catalyst to bring about divine balance, harmony back to the Earth’s grids, lay lines, acupuncture points, pyramid sites, and ancient temples of light. This Love wave is also becoming a powerful catalyst to re-birth integrity, honor, truth, wisdom, unconditional love, selfless service, and authenticity back to ALL living beings on Earth. Within the full authority of our I AM Presence and GOD self, we request that this energy, which we now carry with us, be used for its rightful intended purpose. This energy is now a catalyst, a light explosion, that is the necessary energy needed to compel us into a global ascension . . . a shift of an age. We ask that this ascension and shift be gentle and kind to all living beings, but we also ask that it be 100% effective! It is so . . . as we decree this. We ask this activityof Restoring Rightful Ownership be performed within our universal free will of the I AM that I AM . . . throughout all time, space, and dimensions; past, present, and future; body, mind, and spirit; seven days a week, 24 hours a day, 365 days a year until this job is fully completed and all energy on Earth is re-balanced and all life is energetically equal as we were at our creation. Take a moment and allow all the energy you have given way to be returned to you now. Forgiving all those who have trespassed upon us. Now . . . as humble human beings, we now decree within our full authority of our I AM Presence and GOD Self to take responsibility for our part in forgetting the divine plan. In our forgetting, this divine plan for our ascension has involuted into a plan to divide us and create duality and separation. We forgive all those that we have perceived as having wrongly trespassed upon us, betrayed us, stole from us, fed off of us, took our power away. We forgive ourselves for allowing our egos to take over, and for forgetting about selfless service and the divine plan. We can now forgive ourselves now and let go of our wounds and betrayals, because we remember this divine plan we made together. We now hold no anger or judgment against anyone who trespassed upon us in any perceived form. Jeshua says “Forgive them/us for they/we do not know what they/we do.” The Storers chose and had to endure life with the hard, cold inauthentic power — the power that uses force, but had uncountable physical wealth. The Gatherers had to endure loss after loss, but were coming from authentic power — the power of the heart, but had uncountable spiritual wealth. Each side had a price to pay, and each side had a gift. There is no blame. The only error made was in our collective forgetting. We are so grateful that we are now remembering and know in this remembering there will be less pain and suffering and will experience less duality and separation day by day. Now . . . we can FORGIVE. We cannot shift into the new world without this forgiveness, and now it is not only possible, but unavoidable. We now ask for all “Gatherers” to LET GO of the victim mentality that has made them weak and dependent, so they can take responsibility for their lives again. We now ask for all “Storers” to LET GO of power and control that has made them cold, greedy and uncaring, so they can be selfless servers again. We now ask that this activity of FORGIVING all TRESPASSES UPON US be performed within our universal free will of the I AM that I AM . . . throughout all time, space, and dimensions; past, present, and future; body, mind, and spirit; seven days a week, 24 hours a day, 365 days a year until this activity is fully completed. We now decree within our full authority of our I AM Presence and GOD Self to dissolve the memory of the “Us vs. Them” mentality / mindset for all life on Mother Earth. As our souls are freed from the prison of this duality and separation, we can also be freed of all anger and judgments toward any and all organized religions, secret societies, world governments, other organizations, etc…. Even though in our past perceptions it looked like others were using our own energy against us, they were in fact actually working for us all and for the greater divine plan for our ascension. So even though we forgot this fact, the light (the divine plan) has always been in control. The energy of separation and duality and forgetfulness has now been reversed and returned to all living beings. We now ask that this activity of UNITY and ONENESS be performed within our universal free will of the I AM that I AM . . . throughout all time, space, and dimensions; past, present, and future; body, mind, and spirit; seven days a week, 24 hours a day, 365 days a year until this activity is fully completed. We are so grateful to have received this message. It has brought this age old, past agreement back into the light, and also opened the doorway for this energy to be released back into the world . . . to its rightful owners, and to the descendants of our ancestors. We can now heal and let go of the wounds this might have caused all of us, and begin the work together to ascend all life on Mother Earth. We can now forgive all the things we considered atrocities upon humanity, and upon ourselves, and see that there was a bigger picture that we simply forgot. In the forgetfulness, we caused a lot of pain and suffering for each other. We do not want to continue this suffering anymore. We must realize that everyone did exactly just as they were supposed to do. The divine plan is unfolding. We have moved another step forward toward a collective goal of planetary awakening. We thank all our guides, guardian, angels, Archangels, Masters of Light, Archangel Michael, Jeshua, Mother Mary and Mary Magdalene for their assistance today. We ask that they also help this activity of our divine plan to continue throughout time until it is 100% completed and all beings on Earth are brought back into their hearts, and their energy is balanced as God created us. Note from Aluna Joy . . .
We feel this divine plan message, which we received at Wells Cathedral, England in June of 2012, is by no means the ONLY divine plan we as a collective have created in the ancient past. But at this point, we have no clue as to what others might be. But we feel that they will be revealed soon. Please keep your minds and hearts open to consider beyond what we THINK we know . . . so truth can be revealed. You might be the one to unveil the next plan to be put into action! In closing, I would like to ask all Servers of the Heart reading this who have a calling to this love bomb to send a little Love and Protection to the messengers and deliverers of this activity. We know this will stir those still in their ego mind set, which may result in interesting and challenging energy being sent our way . . . . such as judgments, criticisms and out right attacks. We know this happens when we take on the role of way showers and system breakers. But the Masters were very clear that we needed to honor the power abusers in this way, even when it was hard for us to do so. We are sure it was not easy for you as well. We are remembering and forgiving. This chart is pretty self-explanatory. If you can identify your emotions, then you can heal them. I recommend a shamanistic technique for clearing chakras: clean your chakras one-by-one by swirling the fingers of your right hand in the counter-clockwise direction (clock direction from your standpoint looking out), then swirl the chakra in a clockwise direction to “reset” it. 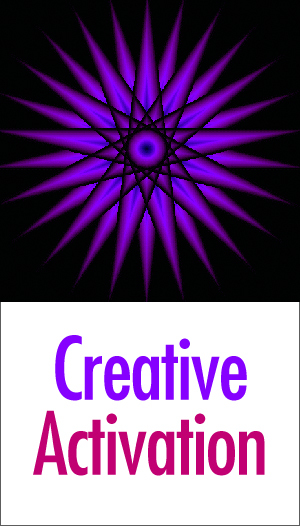 You can feel if the chakra is clogged or if it is sluggish or in overdrive. Rely upon your feelings as to how long or how many times you have to do this. via Foods That Detox The Body – YouTube. CALL TO ACTION – Let’s reach 10 Million individuals who are willing to change the course of history. • For best results, it is best to do it in a quiet and private space and working through a list of fears you have written beforehand. • Sit or lie down comfortably with your back straight and close your eyes. • Breathe in deeply and slowly into your abdomen, then breathe out as fast as you can. • Repeat, breathe in slowly, then out as fast as you can. • And once more, breathe in slowly and slowly, then out fast. • Now continue breathing at your own pace. 1. Scan your physical body from head to toe, to find the energy of fear. 2. Look for fear. If you cannot find it, read one of your fear items in your list and scan your body again. 3. Once you find fear in your body, simply look at it. Don’t analyze it, just look at it. • Allow it to be there. • Allow it to exist. • Allow it to grow and to be. 5. Follow it if it changes into another emotion, or changes locations in your body. 6. Now, allow yourself to get closer and embrace fear in whatever expression it has chosen. Give it light and love, and allow it to exist. 7. Thank it for whatever job it had for you, for being with you for so long. 8. Now, release it into Oneness. Allow it to go free back into Source. 9. Breathe deeply now. As you breathe in, breathe in light and love. And as you breathe out, allow that light and love to go to and fill the space where fear used to be. 10. Now, simply breathe deeply and slowly. Breathing in light and love, and as you breathe out, allow that light and love to expand throughout your body and out into your environment. 11. Now, scan your body from your toes to your head and see if there is any of that fear left. If so, repeat the exercise straight away. If not, you can use your list to repeat the exercise, or end now by opening your eyes and having a good stretch. 12. Repeat this exercise every day until there is no more fear in your life.